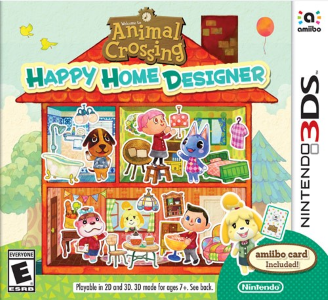 Animal Crossing: Happy Home Designer is a sandbox video game developed and published by Nintendo, with assistance from Monolith Soft, for the Nintendo 3DS. The game is a spin-off of the Animal Crossing series where the player has to design homes for various anthropomorphic animal characters. Animal Crossing: Happy Home Designer works perfectly in Citra. There are no graphical glitches or audio issues. The game is fully playable but may require decent hardware to obtain full speed. Amiibo functionality doesn’t work yet as the emulator doesn’t support them.